Ready to take a trip to these hoppin’ Asian cities? If so, you don’t want to miss these top restaurants, ’cause eating local food the best part about traveling (in our humble opinion). If you’re unsure where to start, here are some of our top picks. There are two things Singaporeans love when it comes to food: (1) variety, and (2) a good value for money, so it should come as no surprise to you that New Ubin Seafood is one of Singapore’s most frequented restaurants! It’s the perfect place to bring a large group of friends with varied food preferences, for you’re bound to find something to satisfy even the choosiest of eaters. From deliciously fragrant Garlic Baked Crab & Bee Hoon to the hearty Chicken Masala, you’d be missing out if you pass this place up! Two Michelin-starred contemporary Cantonese food with wine pairings? Count us in! Ming Court is located at the swanky Cordis Hotel in the heart of Mong Kok, and serves up spectacular Chinese cuisine. Give their famous Eight Treasure Soup a whirl (the eight treasures are Abalone, Fish Maw, Chicken, Shiitake Mushroom, Bamboo Pith, Black Tree Fungus, Dried Tangerine Peel, and Ginger), and their Honey Barbequed Supreme Pork Loin is to die for – it’s the perfect combination of sweet, salty, crispy, and juicy- just the way meat should be! We’ll spare you the formalities since almost everyone has heard of NOBU, but if you haven’t: it’s only the world’s most acclaimed innovative Japanese restaurant, no big deal really. You’ll find it worldwide: amidst twinkling Vegas lights, frequented by A-listers at WeHo, nestled on the picturesque Monte Carlo coast, and on the buzzing streets of Hong Kong, amongst many others. Stop by for a taste of Toro Tartar with Caviar and melt-in-your-mouth Black Cod Saikyo Yaki – we guarantee you’ll be back for seconds (or thirds)! Cocotte Farm Roast & Winery is one of the best farm-to-table restaurants in Bangkok, dedicated to bringing you only the best and freshest produce that Thailand has to offer. Be sure to give their Cocotte signatures like The Farmer ‘Egg Cocotte’ a try: it consists of an organic duck egg cooked at 64 degrees, duck rillettes, and parmesan foam. If you’re craving something heartier, their tender Tomahawk Australian Wagyu is a succulent treat that you’ll be dreaming about for days! Laemgate Infinite is one of Bangkok’s top à la carte seafood buffet restaurants, and for good reason. There’s always a wide array of fresh seafood straight from Chonburi available (we’re talking Oysters, Roasted Salt Shrimp and the like), alongside other lip-smacking dishes like Flavoured Grilled Pork and Som Tum with Pickled Crab. It’s also affordably priced and a 15 minute stroll from Chatuchak Market. I don’t know about you, but I was pretty much sold at “seafood buffet” – this sounds like heaven on Earth to me! Palm Seaside is a literal tropical paradise complete with ocean views, golden sunlight, palm trees swaying in the distance, comfy cushioned seats, and fresh catches from the Andaman Sea. Indulge in King Prawns with red curry paste, Linguini with Andaman Prawns or some Bouillabaisse – it’s the perfect place to do so! Cut Grill & Lounge boasts succulent cuts of meat sourced directly from the Royal Projects Farm in Chiang Mai, so come here expecting high quality, locally sourced goodness! Dig into amazingly smoky Grilled Pork Ribs, creamy, fatty, Beef Tartar, and succulent Lamb Shank Confit – go ahead and treat yourself to the ultimate meat indulgence! Sarong is THE place to visit if you want to savour expertly prepared Asian dishes (mostly Indonesian, Thai, and Indian) in a beautifully intimate and cosy setting amongst luxurious dark wood furnishings reminiscent of a five-star Balinese resort. The food’s spicy and oh-so-good: their Signature Crispy Pork Belly with Sichuan chilli salt tamarillo & tamarind sauce is a crowd pleaser, and their Slow cooked Sri Lankan Lamb Curry is tender, hearty, comforting – everything you could possibly want in a curry dish. MÉTIS is well-known in Bali’s fine dining scene. It combines a classic fine dining concept with lush tropical beauty in an elegant establishment located in the heart of Seminyak, and provides an excellent interpretation of classic French dishes with a Mediterranean twist! Be sure to try their Pan Seared Organic Grass Fed Australian Beef Tenderloin served with tender braised oxtail, Bellota croquettes, and black truffle jus for a exquisite gastronomic experience unlike any other. 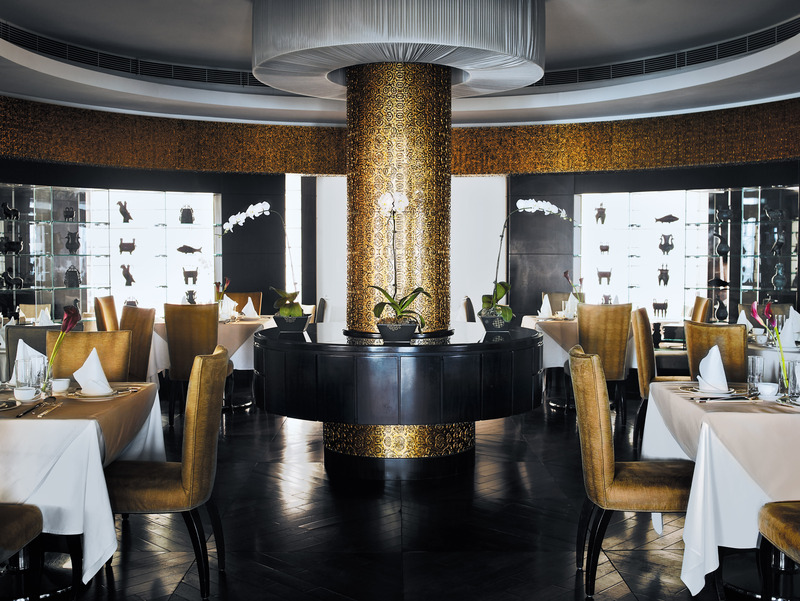 Amuz is one of Jakarta’s top fine dining restaurants, and it’s easy to see why! Its main focus is on highlighting the rich flavours of French cuisine, and its ever-changing menu ensures that you’ll be getting the freshest seasonal produce that the markets have to offer. Expect something new and exciting each time you return! Steak lovers, you’re in for a real treat. AB Steak is a brand new steakhouse with a unique Korean twist where meat truly takes the center stage! The beautifully marbled steaks are grilled to smoky perfection and served with a five different dipping sauces (soy wasabi, ssamjang, sesame oil, chimichurri, and bulgogi) and flavoured salts (garlic, kimchi, truffle, yuzu, and Himalayan) for the ultimate indulgence. You can’t go wrong with their House Aged Porterhouse or the Wagyu 9+ Flat Iron Steak! You don’t have to trek through the beautiful mountainous terrains of northwest China to get your hands on delicious Xinjiang delicacies when you can get it at a comfortable, elegantly furnished restaurant in the heart of Shanghai – perfect if you’re only here for a short layover. Lost Heaven has delectable food items that span the Silk Road, from Pomegranate Sweet & Sour Chicken to Mongolian Roasted Lamb Ribs. We also dig the Tibetan Style Roasted Beef, as it’s the closest we’ll get to Tibet…for now. Liquid Laundry’s spacious, industrial-style interior exudes an effortless laid-back vibe. It’s the perfect place to kick back with some delicious grub and a pint of craft beer (they even have their own onsite microbrewery!) while relaxing with a bunch of friends. The Eggs Benedict with Smoked BBQ Brisket is heaven on a plate – head on down and give it a whirl!